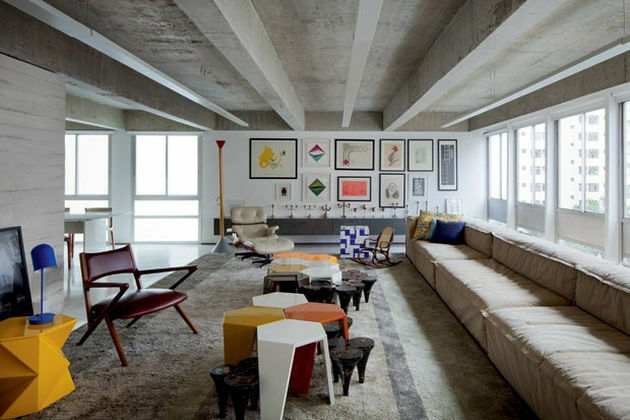 This is an apartment created by couple of architetcts in Sao Paulo. The idea was to design a funny and functional place for themsleves and their kids. 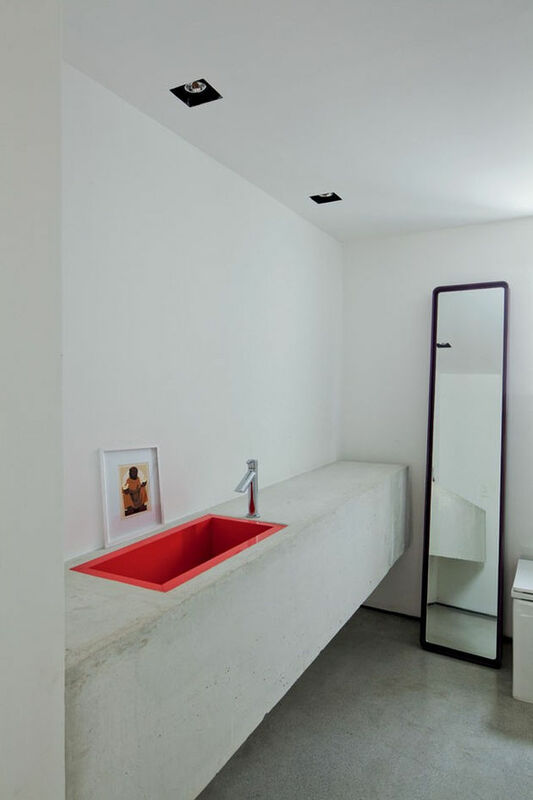 Many of the pieces within the apartment are sourced from Estudiobola, the architects’ studio. 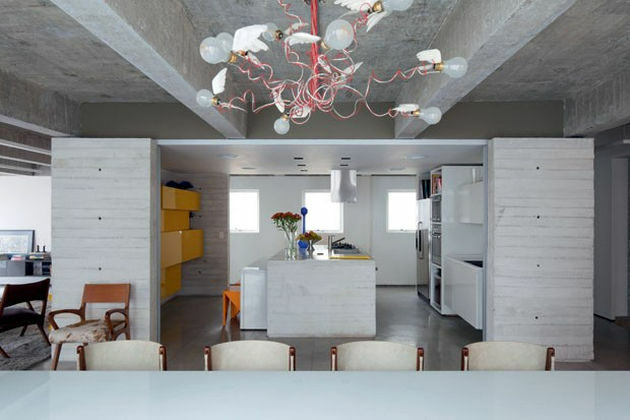 What I like about this design is the combination of vabrint vivid colours with modern concrete space. One of Estudiobola pieces is hexagonal cluster of Araripe tables in multiple colour choices that are grouped in two sections in front of the large custom sofa that runs the full length of the wall. Just beyond the living space is the kitchen. 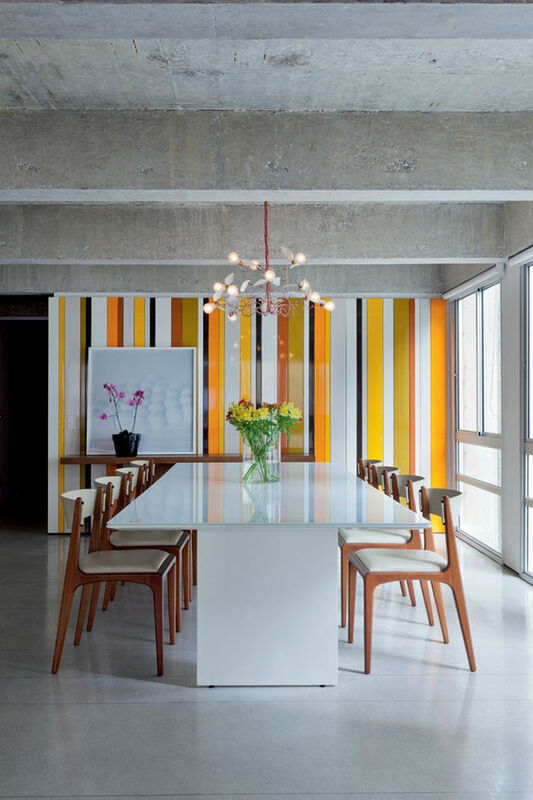 Centrally located within the apartment, the space appears bright and cheerful with the use of Tangerine modular Allen cabinets by Estudiobola that are stacked against natural concrete walls. Just beyond the living space is the kitchen. 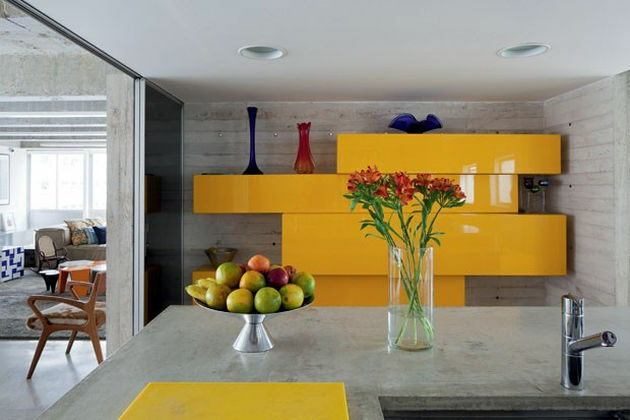 Centrally located within the apartment, the space appears bright and cheerful with the use of Tangerine modular Allen cabinets by Estudiobola that are stacked against natural concrete walls. I also really like a kids room. It is totally oposite to traditional nursery/children room. Very grown up with some design pieces like Estudiobola Kiko chair and turquoise console. Even the side table and large round rug are kept to the same colour palette. 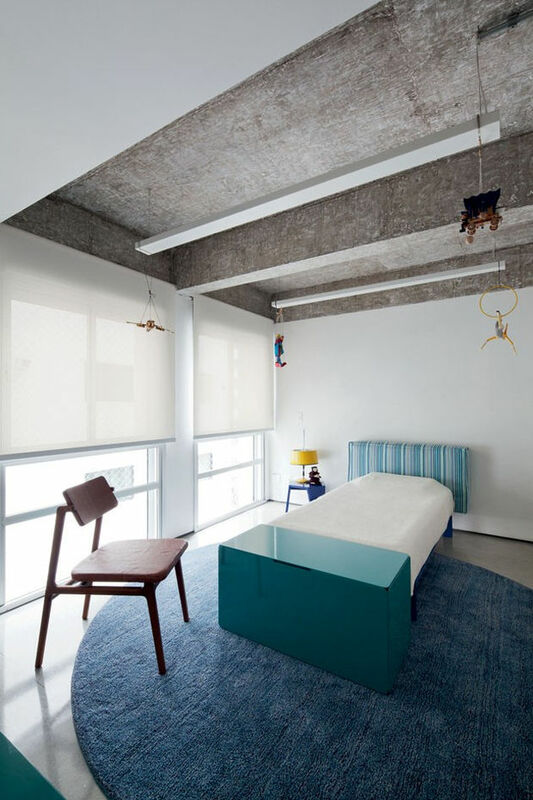 The only infusion of additional colour comes from the yellow bedside lamp and a few small mobiles hanging from the concrete ceiling.